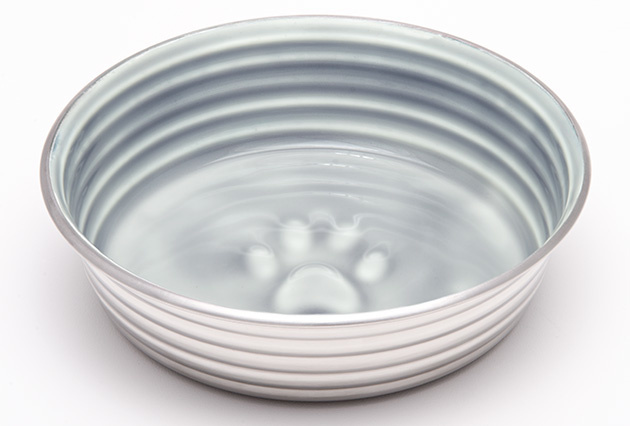 Le Bol Dog Bowls - Parisian Gray are not only gorgeous, they are extremely durable. Created in the style of famous French cookware, these stainless steel bowls have a brightly coloured ceramic-like interior. The glazed over-stain effect highlights the ribbed walls and embossed paw in the bottom. The integrated rubber base makes them skid and noise-free. And of course, they are top-rack dishwasher safe.